The McNair Scholars Program received continued funding at Southern Nazarene University (SNU) last week. This program targets eligible SNU undergraduate students that are academically sound, have intent on pursuing a career that requires a doctoral degree and demonstrate promising potential for success in a graduate program. The goal of this program is to encourage first generation, economically challenged and underrepresented students to pursue a graduate degree. 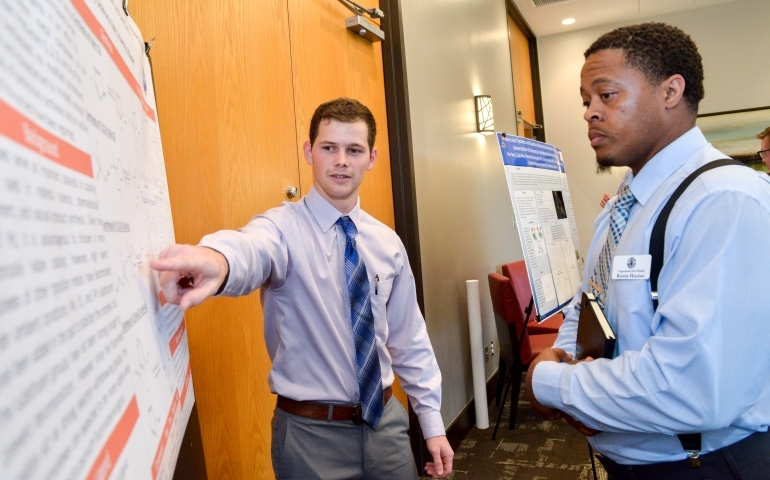 It also gives undergraduates the opportunity to participate in research studies they likely would not have otherwise, building resumes and gaining valuable experience in the process. The refunding of the program not only continues providing these resources to students, it also gives Dr. Rosfeld the ability to begin an SNU Undergraduate Research Office. The goal of creating this office is to “serve the entire student body by providing information about research opportunities for all students,” Dr. Rosfeld stated. Dr. Rosfeld went on to discuss how the McNair program has seen ninety-five students graduate in its ten year existence. Sixteen of the of those students have completed or are completing doctoral degrees, and forty-five more have achieved or are working towards achieving masters degrees. One student who is currently enrolled in the program is Jacob Hicks, an English major at Southern Nazarene University and a member of the McNair Scholarship Program. Jacob Hicks is looking to pursue a Master of Fine Arts in Creative Writing after completing his undergraduate work at SNU. Jacob Hicks claimed that the McNair Program has helped him through research attain scholarships that can benefit him in his academic pursuits. Furthermore, the program has helped him research potential graduate schools and how to be a more attractive candidate. “I just get to learn more and meet incredible people along the way,” said Jacob Hicks. The McNair Program will continue to help Jacob Hicks and many more students like him for years to come.